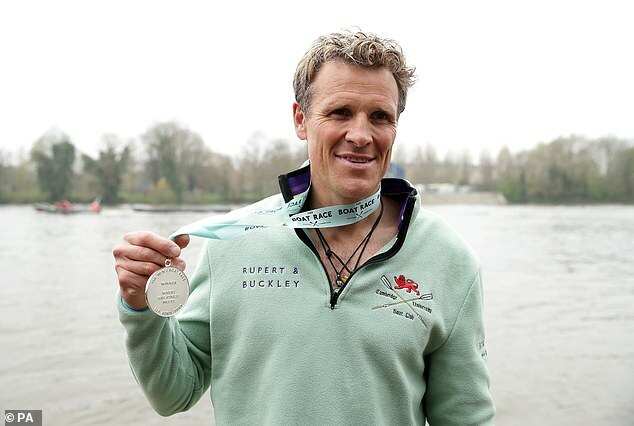 The double-Olympic gold medallist and six-time world champion powered to victory with the Light Blues in a feat dubbed ‘off the scale’ by his former Great Britain colleague Matthew Pinsent. But after last week confirming the end of his marriage to Beverley Turner, the Peterhouse College masters student pulled off an extraordinary personal achievement, that friend Ben Fogle called ‘the start of another chapter in his life’. ‘This is the start of another chapter in his life,’ Fogle told the BBC. 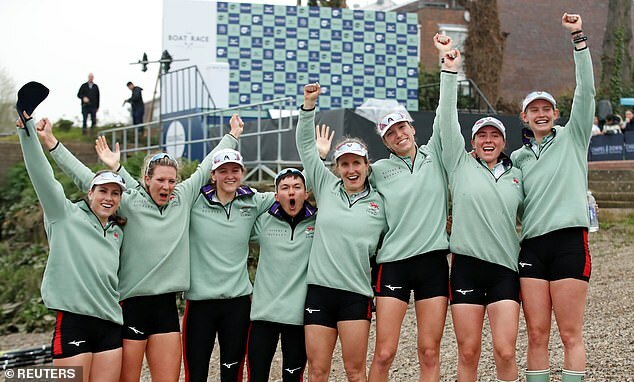 Cracknell’s fellow former Olympian Pinsent added: ‘It’s extraordinary that he’s got himself into the shape, at 46, of a 24-year-old. 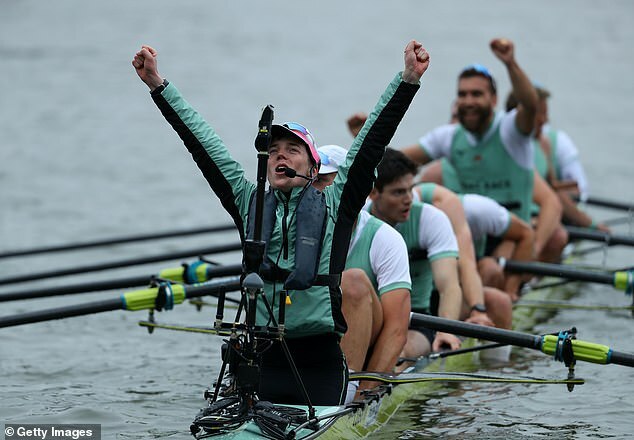 ‘On the start I thought ‘I’ve missed this’,’ Cracknell told the BBC in the wake of victory. ‘The first few minutes were great, but they just didn’t drop. To be honest the endurance wasn’t a problem.